Easy installation with no modifications, drilling, velcro, or hardware required. 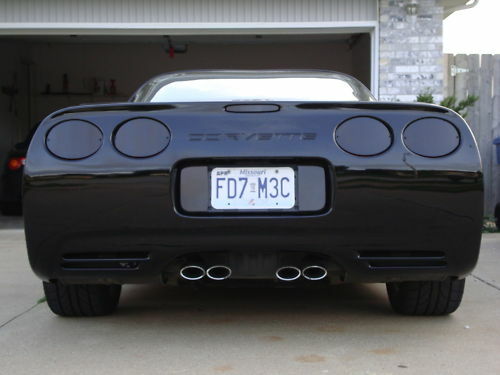 This is an awesome way to give your C5 Corvette that stealthy, sleek, fast look. Your friends will be overrun with jealousy. 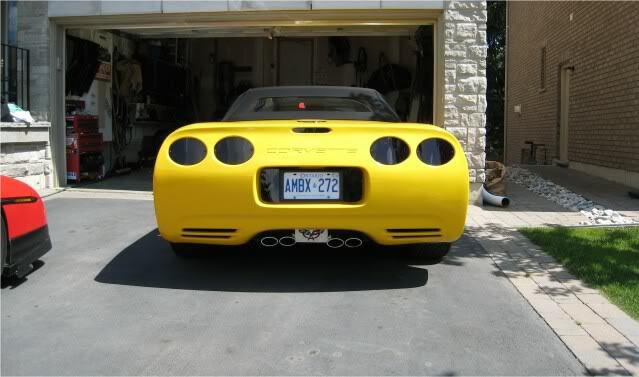 Our C5 Blackout Light Kit will kick your dull OEM lights to the curb and give your Corvette a new, fresh appearance to boost the sporty appeal. The tail lamp blackouts install with your existing tail lamp housing screws. Front parking lamp blackouts fit between parking lamp and fascia for a secure fit. Reverse and 3rd brake lamp blackouts are installed with CLEAR high performance automotive 3M brand tape. Q: Do the black tail light covers make it hard to be seen at night? Q: Is this hard plastic ? Or film. Q: just confirming that light shows through the blackout lenses on all the blackout kits?